Blend mango, banana, yogurt, almond milk, honey and cinnamon until smooth. Pour into a bowl and top with fresh berries and granola. Feeling fancy? I like to freeze raspberries or blackberries. The frosty berries make for a unique garnish and great texture. 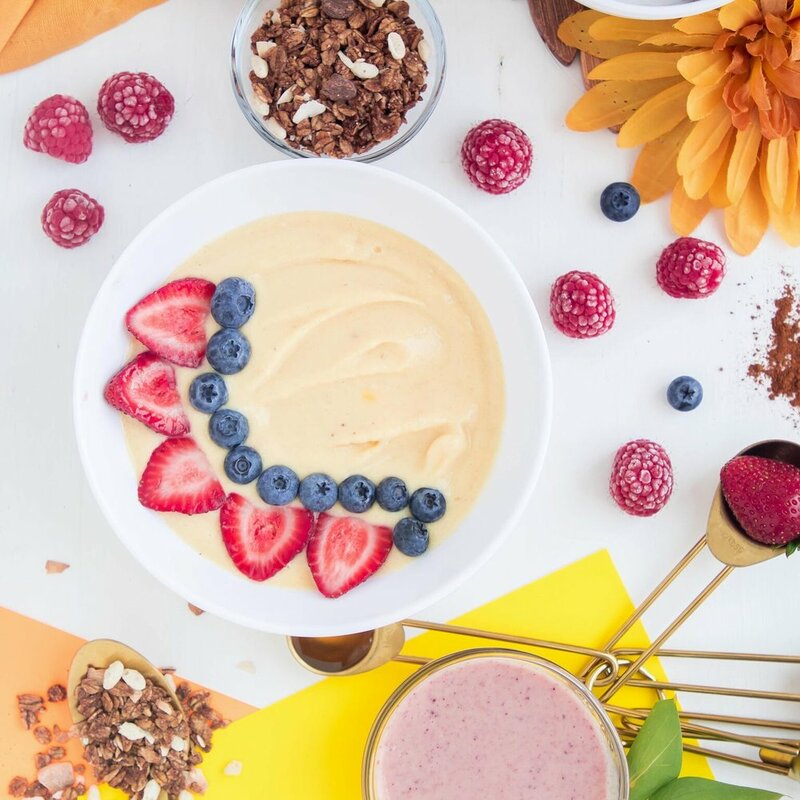 Take it a step further by using 2 tablespoons of your smoothie bowl mix and blend with a handful of fresh berries for a quick berry sauce. 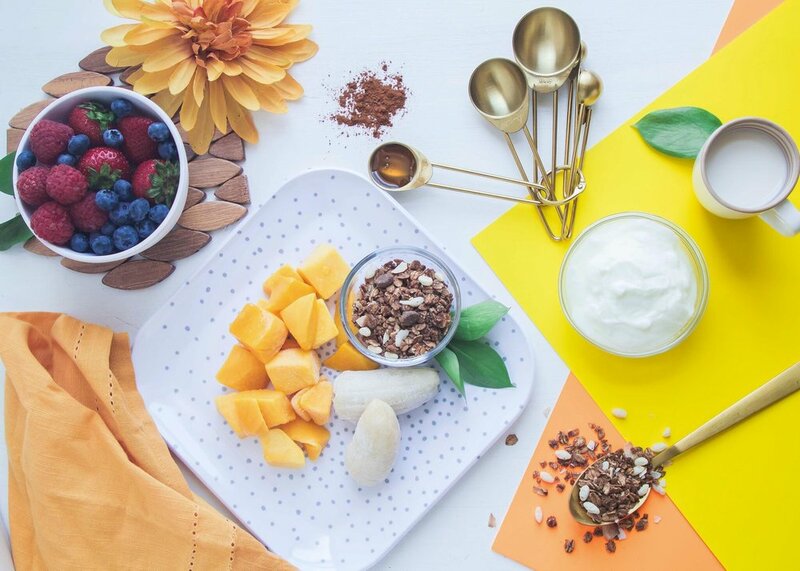 Take your bowl on the go in a mason jar, layer your smoothie, berries and granola as you would a parfait. Need to up your greens intake? Add a handful of fresh spinach to your smoothie mix and blend until fully incorporated. is a BK born foodie, food stylist and photographer— follow her here!